The DSE6120 is an Auto Mains (Utility) Failure Control Module suitable for a wide variety of single gen-set applications. 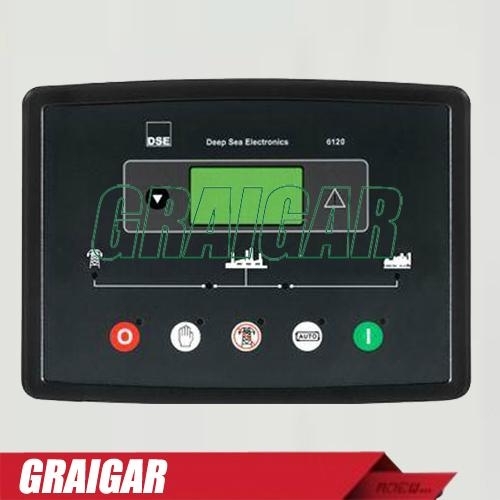 Monitoring speed, frequency, voltage, current, oil pressure, coolant temperature and fuel level, the modules will display warnings, shutdown and engine status information on the back-lit LCD screen and illuminated LED. • CAN and Magnetic Pick-up/Alt.